Lang A., Kallhardt F., Lee M.S., Loos J., Molander M.A., Muntean J., Pettersson L.B., Rákosy L., Stefanescu C., Messéan A. 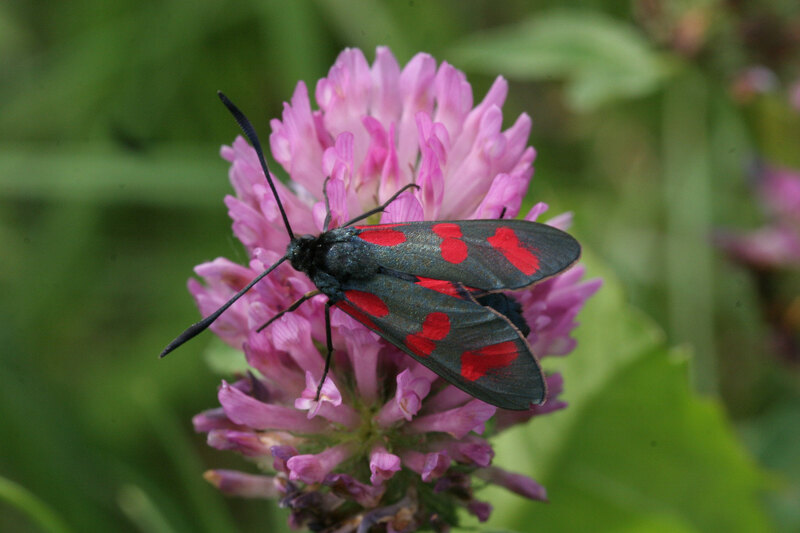 (2019): Monitoring environmental effects on farmland Lepidoptera: Does necessary sampling effort vary between different bio-geographic regions in Europe? Ecological Indicators 102: 791–800. Masetti A., Arpaia S., Ghesini S., Magagnoli S., Magarelli R.A., Neri U., Lener M., Rastelli V., Staiano G., Lang A., Marini M., Burgio G. (2017): Macro-moths as possible assessment endpoints for non-target effects of Bt-maize pollen: a faunistic study in three Italian protected areas. Bulletin of Insectology 70: 307-314. Lang, A., Bühler, C., Dolek, M., Roth, T., Züghart, W. (2016): Estimating sampling efficiency of diurnal Lepidoptera in farmland. Journal of Insect Conservation 20: 35-48. Lang, A., Oehen, B., Ross, J.H., Bieri, K., Steinbrich, A. (2015): Potential exposure of butterflies in protected habitats by Bt maize cultivation: A case study in Switzerland. Biological Conservation 192: 369–377. Lang, A., Otto, M. (2015): Feeding behaviour on host plants may influence potential exposure to Bt maize pollen of Aglais urticae larvae (Lepidoptera, Nymphalidae). Insects 6: 760-771. Andow, D.A., Lövei, G.L., Arpaia, S., Wilson, L., Fontes, E.M.G., Hilbeck, A., Lang, A., Van Tuat, N., Pires, C.S.S., Sujii, E.R., Zwahlen, C., Birch, A.N.E., Capalbo, D.M.F., Prescott, K., Omoto, C., Zeilinger, A.R. (2014): An ecologically-based method for selecting ecological indicators for assessing risks to biological diversity from genetically-engineered plants. Journal of Biosafety 22: 141-146. Hilbeck, A., Weiss, G., Oehen, B., Römbke, J., Jänsch, S., Teichmann, H., Lang, A., Otto, M., Tappeser, B. (2014): Ranking matrices as operational tools for the environmental risk assessment of genetically modified crops on non-target organisms. Ecological Indicators 36: 367-381. Lang, A., Theißen, B., Dolek, M. (2013): Standardised methods for the GMO monitoring of butterflies and moths: the whys and hows. BioRisk 8: 15-38. Holst, N., Lang, A., Lövei, G., Otto, M. (2013): Corrigendum to “Increased mortality is predicted of Inachis io larvae caused by Bt-maize pollen in European farmland” [Ecol. Model. 250 (2013) 126–133]. Ecological Modelling 265: 250. Holst, N., Lang, A., Lövei, G., Otto, M. (2013): Increased mortality is predicted of Inachis io larvae caused by Bt-maize pollen in European farmland. Ecological Modelling 250: 126-133. Speiser, B., Stolze, M., Oehen, B., Gessler, C., Weibel, F., Bravin, E., Kilchenmann, A.,Widmer, A., Charles, R., Lang, A., Stamm, C., P. Triloff, P.,Tamm L. (2013): Sustainability assessment of GM crops in a Swiss agricultural context. Agronomy for Sustainable Agriculture 33: 21-61. Lang, A.,& Bühler, C. (2012): Estimation of required sampling effort for monitoring the possible effects of transgenic crops on butterflies: lessons from long-term routine monitoring schemes in Switzerland. Ecological Indicators 13: 29-36. Lang, A., Dolek, M., Theißen, B.,& Zapp, A. (2011): Are adult Crambid Snout Moths (Crambinae) and larval stages of Lepidoptera suitable tools for an environmental monitoring of transgenic crops? Implications of a field test. Insects 2: 400-411. 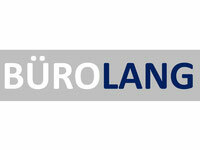 Lang, A., Brunzel, S., Dolek, M., Otto, M.,& Theißen, B. (2011): Modelling in the light of uncertainty of key parameters: A call to exercise caution in field predictions of Bt maize effects. Proceedings of the Royal Society B 278: 980-981. Lang, A., Otto, M. (2010): A synthesis of laboratory and field studies on the effects of transgenic Bacillus thuringiensis (Bt) maize on non-target Lepidoptera. Entomologia Experimentalis et Applicata 135: 121-134. Lang, A., Lauber, E., Darvas, B. (2007): Early-tier tests insufficient for GMO risk assessment. Nature Biotechnology 25: 35-36. Zahn, A., Juen, A., Traugott, M., Lang, A. (2007): Low density cattle grazing enhances arthropod diversity of abandoned wetland. Applied Ecology Environmental Research 5: 73-86. Ludy, C., Lang, A. (2006): A 3-year field-scale monitoring of foliage-dwelling spiders (Araneae) in transgenic Bt-maize field and adjacent margins. Biological Control 38: 314-324. Ludy, C., Lang, A. (2006): Bt maize pollen exposure and impact on the garden spider, Araneus diadematus. Entomologia Experimentalis et Applicata 118: 145-156. Lang, A., Vojtech, E. (2006): The effects of pollen consumption of transgenic Bt maize on the common swallowtail, Papilio machaon L. (Lepidoptera, Papilionidae). Basic and Applied Ecology 7: 296-306. Meissle, M., Lang, A. (2005): Comparing methods to evaluate the effects of Bt maize and insecticide on spider assemblages. Agriculture, Ecosystems & Environment 107: 359-370. Lang, A., Ludy, C., Vojtech, E. (2004): Dispersion and deposition of Bt maize pollen in field margins. Journal of Plant Diseases and Protection 111: 417-428. Ludy, C., Lang, A. (2004): How to catch foliage-dwelling spiders (Araneae) in maize fields and their margins: a comparison of two sampling methods. Journal of Applied Entomology 128: 501-509. Lang, A. (2004): Monitoring the impact of Bt maize on butterflies in the field: estimation of required sample sizes. Environmental Biosafety Research 3, 55-66. Lang, A., Gsödl, S. (2003): „Superfluous killing“ of aphids: a potentially beneficial behaviour of a natural enemy, Poecilus cupreus (L.) (Coleoptera: Carabidae)? Journal of Plant Diseases and Protection 110: 583-590. Lang, A. (2003): Intraguild interference and biocontrol effects of generalist predators in a winter wheat field. Oecologia 134: 144-153. Filser, J., Mebes, K-H., Winter, K., Lang, A., Kampichler, C. (2002): Long-term dynamics and interrelationships of soil Collembola and microorganisms in an arable landscape following land use change. Geoderma 105: 201-221. Lang, A., Gsödl, S. (2001): Prey vulnerability and active predator choice: a carabid beetle and its aphid prey. Journal of Applied Entomology 125: 53-61. Dilly, O., Winter, K., Lang, A., Munch, J.-C. (2001): Energetic eco-physiology of the soil microbiota in two landscapes of southern and northern Germany. Journal of Plant Nutrition & Soil Science 164: 407-413. Filser, J., Wittmann, R., Lang, A. (2000): Response types in Collembola towards copper in the microenvironment. Environmental Pollution 107: 71-78. Lang, A. (2000): The pitfalls of pitfalls: a comparison of pitfall trap catches and absolute density estimates of epigeal invertebrate predators in arable land. Journal of Pest Science 73: 99-106. Lang, A., Filser, J., Henschel J.R. (1999): Predation by ground beetles and wolf spiders on herbivorous insect prey in a maize crop. Agriculture, Ecosystems & Environment 72: 189-199. Lang, A., Krooß, S., Stumpf, H. (1997): Mass-length relationships of epigeal arthropod predators in arable land (Araneae, Chilopoda, Coleoptera). Pedobiologia 41: 233-239. Lang, A., Klarenberg, A.J. (1997): Experiments on the foraging behaviour of the hunting spider Pisaura mirabilis: utilization of single prey items. European Journal of Entomology 94: 453-459. Mommertz, S., Schauer, C., Kösters, N., Lang, A., Filser, J. (1996): A comparison of D-Vac suction, fenced and unfenced pitfall trap sampling of epigeal arthropods in agro-ecosystems. Annales Zoologici Fennici 33: 117-124. Lang, A. (1996): Silk investment in nuptial gifts by males of the nuptial feeding spider Pisaura mirabilis (Araneae, Pisauridae). Behaviour 133: 697-716. Van Swaay, C.A.M., Van Strien, A.J., Aghababyan, K., Åström, S., Botham, M., Brereton, T., Chambers, P., Collins, S., Domènech Ferrés, M., Escobés, R., Fernández-García, J.M., Fontaine, B., Goloshchapova, S., Gracianteparaluceta, A., Harpke, A., Heliölä, J., Khanamirian, G., Julliard, R., Kühn, E., Lang, A., Leopold, P., Loos, J., Maes, D., Mestdagh, X., Monasterio, Y., Munguira, M.L., Murray, T., Musche, M., Õunap, E., Pettersson, L., Popoff, S., Prokofev, I., Roth, T., Roy, D., Settele, J., Stefanescu, C., Švitra, G., Teixeira, S.M., Tiitsaar, A., Verovnik, R., Warren, M.S. (2015): The European Butterfly Indicator for Grassland species 1990-2013. Report VS2015.009, De Vlinderstichting, Wageningen. Lang, A., Seitz, H., Berhorn, F., Brunzel, S., Dolek, M., Erlacher, S., Felke, M., Leopold, P., Schmidt, A., Theißen, B. (2006): Standardisierte Erhebungsmethoden für Schmetterlinge (Lepidoptera) im Rahmen eines Monitorings für gentechnisch veränderte Organismen (GVO) – Stand und Perspektiven. Gefahrstoffe - Reinhaltung der Luft 66: 315-318. Lang, A., Abdel-Kader, K., Arndt, M., Bauchhenß, J., Beck, R., Benker, U., Herrmann, A., Mautz, D., Zellner, M., Pommer, G. (2006): Monitoring der Umweltwirkungen von Bt-Mais. Ein Forschungsprojekt des Bayerischen Staatsministeriums für Landesentwicklung und Umweltfragen und der Bayerischen Landesanstalt für Landwirtschaft. Mitteilungen der Biologischen Bundesanstalt 403: 136-139. Lang, A., Arndt, M., Beck, R., Bauchenß, J.,& Pommer G. (2005): Monitoring der Umweltwirkungen des Bt-Gens. Forschungsprojekt im Auftrag des Bayerischen Staatsministeriums für Umwelt, Gesundheit und Verbraucherschutz (StMUGV). Schriftenreihe der LfL 7: 1-113. Zahn, A., Lang, A., Meinl, M., Schirlitz, Th. (2002): Beweidung einer Feuchtbrache mit Galloway-Rindern - Flora, Fauna und wirtschaftliche Aspekte einer kleinflächigen Standweide. Laufener Seminarbeiträge (ANL) 1/02: 35-45. Lang, A., Müller, A., Lange, F., Lange, A. (1999): Der Starnberger See als Rast- und Überwinterungsgewässer für die Kolbenente Netta rufina von 1966 bis 1998. Ornithologischer Anzeiger 38: 21-30. Filser, J., Dette, A., Fromm, H., Lang, A., Mebes, K.-H., Munch, J.-C., Nagel, R., Winter, K., Beese, F. (1999): Reactions of soil organisms to site-specific management: the first long-term study at the landscape scale. EcoSys, Suppl. 28: 139-147. Müller, A., Lange, A., Lange, F., Lang, A. (1996): Störungsökologie rastender Wasservögel am Starnberger See. Berichte der Akademie für Naturschutz und Landschaftspflege 20: 197-207. Filser, J., Lang, A., Mebes, K.-H., Mommertz, S., Palojärvi, A., Winter, K. (1996): The effect of land use change on soil organisms - an experimental approach. Verhandlungen der Gesellschaft für Ökologie 26: 671-679. Lang, A., Klein, M., Foeckler, F., Schleuter, M. (1993): On a recent record of Astrobunus laevipes and Nemastoma dentigerum in Bavaria, Germany (Opiliones: Phalangiidae, Nemastomatidae). Bollettino dell'Accademia Gioenia di Scienze Naturali 26: 227-235. Van Swaay, C.A.M., S., Botham, M., Brereton, T. Carlisle, B., Dopagne, C., Escobés, R., Feldmann, R., Fernández-García, J.M., Fontaine, B., Gracianteparaluceta, A., Harpke, A., Heliölä, J., Kühn, E., Lang, A., Maes, D., Mestdagh, X., Monasterio, Y., Munguira, M.L., Murray, T., Musche, M., Õunap, E., Pettersson, L.B., Piqueray, J., Roth, T., Roy, D.B., Schmucki, R., Settele, J., Stefanescu, C., Švitra, G., Tiitsaar, A., Verovnik, R (2017). Technical report: making Bioscore distribution models based on Butterfly Monitoring Transects. Report VS2017.029, Dutch Butterfly Conservation, Wageningen, Netherlands. Lang, A. (2013): Artkapitel Schwalbenschwanz (Papilio machaon L.). In: Bräu, M., Bolz, R., Kolbeck, H., Nunner, A., Voith, J., Wolf, W. (Hrsg. ), Tagfalter in Bayern. Verlag Eugen Ulmer, Stuttgart. Pham, V.L., La, P.L., Hilbeck, A., Nguyen, V.T., Lang, A. (2008): Invertebrate predators in Bt cotton in Vietnam: Techniques for prioritizing species and developing risk hypotheses for risk assessment. In: Andow, D.A., Hilbeck, A., Tuat, N.V. (eds. ), Environmental Risk Assessment of Genetically Modified Organisms: Challenges and Opportunities with Bt Cotton in Vietnam. CABI, Wallingford. 176-211. Hilbeck, A., Arpaia, S., Birch, A.N.E., Chen, Y., Fontes, E.M., Lang, A., Le, T.T.H., Lövei, G., Manachini, B., Nguyen, T.T.C., Nguyen, V.H., Nguyen, V.T., Pham, V.L. Pires, C., Sujii, E., Trac, K.L., Underwood, E., Wheatley, R., Wilson, L., Zwahlen, C., Andow D. (2008): Non-target and biological diversity risk assessment. In: Andow, D.A., Hilbeck, A., Tuat, N.V. (eds. ), Environmental Risk Assessment of Genetically Modified Organisms: Challenges and Opportunities with Bt Cotton in Vietnam. CABI, Wallingford. 115-137. Andow, D.A., Nguyen, V.T., Hilbeck, A., Underwood, E., Birch, A.N.E., Dinh, Q.T., Fitt, G.P., Giband, M., Johnston West, J., Lang, A., Le, Q.Q., Lövei, G.L., Nelson, K.C., Nguyen, H.S., Nguyen, H.H., Nguyen, T.H., Nguyen, T.T.G., Nguyen, V.H., Nguyen, V.U., Pham, V.L., Pham, V.T., Sujii, E.R., Tran, A.H., Tran, T.C.H., Vu, D.Q., Wheatley, R.E., Wilson, L.J. (2008): Challenges and Opportunities with Bt cotton in Vietnam: Synthesis and Recommendations. In: Andow, D.A., Hilbeck, A., Tuat, N.V. (eds. ), Environmental Risk Assessment of Genetically Modified Organisms: Challenges and Opportunities with Bt Cotton in Vietnam. CABI, Wallingford. 330-344. Lang, A., Barthel, J. (2008): Spiders (Araneae) in arable land; species community, influence of land use on diversity, and biocontrol significance. In: Schröder, P., Pfadenhauer, J. & Munch, J.C. (Eds. ): Perspectives for Agroecosystem Management. Balancing Environmental and Socio-economic Demands. Elsevier, 307-326. Breckling, B., Dolek, M. Lang, A., Reuter, H., Verhoeven, R. (2007): Die ökologischen Organisationsebenen als Kriterium der Übersicht und Vollständigkeit im GVO-Monitoring. In: Breckling, B. et al. (Hrsg. ): GVO-Monitoring vor der Umsetzung. Naturschutz und biologische Vielfalt, Heft 49: 227 – 241. Breckling, B., Dolek, M. Lang, A., Reuter, H., Verhoeven, R. (Hrsg.) (2007): GVO-Monitoring vor der Umsetzung. Naturschutz und biologische Vielfalt, Heft 49: 227 – 241. Osinski, E., Albrecht, H., Laussmann, H., Belde, M., Filser, J., Schloter, M., Gattinger, A., Geue, H., Lang, A., Sprenger, B., Pfadenhauer, J. (2005): Biodiversität in Agrarökosystemen. In: Osinski, E., Meyer-Aurich, A., Huber, B., Rühling, I., Gerl, G., Schröder, P. (eds. ): Landwirtschaft und Umwelt – ein Spannungsfeld. oekom, München, 155-204. Lang, A., Weihrauch, F. (2003): Gemeine Eichenschrecke, Meconema thalassinum (Degeer, 1773). In: Bayerisches Landesamt für Umweltschutz (Hrsg. ), Heuschrecken in Bayern. Verlag Eugen Ulmer, Stuttgart, 93-95. Weihrauch, F., Lang, A. (2003): Südliche Eichenschrecke, Meconema meridionale (A. Costa, 1860). In: Bayerisches Landesamt für Umweltschutz (Hrsg. ), Heuschrecken in Bayern. Verlag Eugen Ulmer, Stuttgart, 96-97. Weihrauch, F., Lang, A. (2003): Grüne Strandschrecke, Aiolopus thalassinus (Fabricius, 1781). In: Bayerisches Landesamt für Umweltschutz (Hrsg. ), Heuschrecken in Bayern. Verlag Eugen Ulmer, Stuttgart, 217-218. Dolek, M., Freese, A., Lang, A. (2003): Blauflügelige Ödlandschrecke, Oedipoda caerulescens (Linnaeus, 1758). In: Bayerisches Landesamt für Umweltschutz (Hrsg. ), Heuschrecken in Bayern. Verlag Eugen Ulmer, Stuttgart, 206-209. Zahn, A., Lang, A., Meinl, M. (2001): Galloway-Rinder als Landschaftsgestalter. Ein Naturschutzprojekt zur Pflege offener Kulturlandschaften. In: Gerken, B., Görner, M. (Hrsg. ): Neue Modelle zu Maßnahmen der Landschaftsentwicklung mit großen Pflanzenfressern. Praktische Erfahrungen bei der Umsetzung. Natur- und Kulturlandschaft Bd. 4, Höxter/Jena 2001: 332-342.